Tretinoin, a prescription retinoid (commonly sold under the brand name Retin-A), has been one of the biggest players responsible for keeping my acne at bay. I’ve been a Tretinoin user for nearly a year and a half now. Tretinoin is available in multiple formats, including a cream, a gel, and a gel Microsphere. For the first 12 months of my Tretinoin usage, I used the cream. I went through the same purging process many retinoid users go through for the first couple of months, which was basically a bunch of pimples emerging and coming to a head on my chin and forehead, along with some peeling. I also had a few mishaps that involved applying too much Tretinoin cream. These incidences caused a compromised moisture barrier, which manifested as extremely dry, sometimes painful, red, flaky, dry patches. It was not a fun adjustment period, but after the first 8 weeks or so, I was rewarded with a brighter, clearer complexion, and significantly less acne than I had before I started the prescription. The effectiveness of Tretinoin more than made up for the increased sensitivity I experienced, and after the first 9 months, my skin seemed to adjust – it was still sensitive, but far less so. It was around that time that I started looking into other forms of topical Tretinoin, and began reading up on the gel Microsphere, which is time released and therefore, less irritating. A few months ago, my dermatologist agreed that the gel Microsphere would be worth a try, so I made the switch from Tretinoin Cream 0.025% to Tretinoin Gel Microsphere 0.04%. Tretinoin (all-trans retinoic acid) was developed by Dr.Albert Kligman and Dr.James Fulton in 1969 as an acne treatment, and was known under the brand name Retin-A – a brand name that is still the most recognizable of the prescription retinoid products available today. It works as a cell-communicating agent, signaling cells in the deeper layers of the skin to create new, healthy skin cells and increasing cellular turnover. It was later discovered that the very mechanism that allows Tretinoin eliminate acne also helps heal photodamage, reduce wrinkles, and slow the aging process. Tretinoin is a prescription-only treatment, as it is the actual all-trans retinoic acid, which is derived from Vitamin A. Over the counter retinoids such as retinol are indirect forms of all-trans retinoic acid, meaning that the ingredient itself is not an all-trans-retinoic acid, but your body eventually converts it to one once it’s been absorbed. 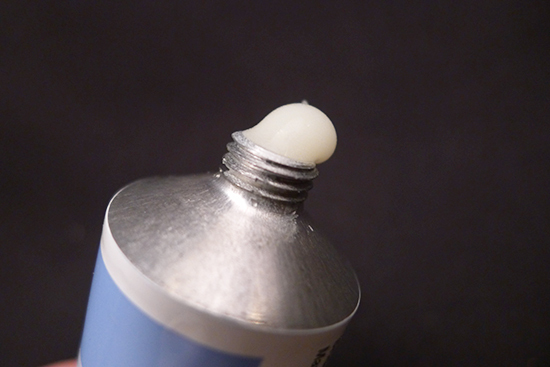 As previously mentioned, there are three main types of topical Tretinoin – a cream, a gel, and a gel Microsphere. Tretinoin Cream is obviously a cream. However, there is often some confusion when talking about the two gel formats, Tretinoin Gel and Tretinoin Gel Microsphere. I, myself, was under the impression for a long time that all Tretinoin Gel was the Mircosphere formula, but this is not the case. There is actually a regular Tretinoin Gel that is vastly different from the gel Microsphere. The regular gel is not a time-release formula, and the gel itself contains a high amount of denatured alcohol. Plain old Tretinoin Gel is clear. The Tretinoin Gel Microsphere formula does not contain as much denatured alcohol, and is an opaque, yellowish color. Gel Microsphere also uses a special delivery system called Microsponge, which is composed of tiny, sphere shaped particles with a porous surface. The porous surface allows for a sustained flow of the Tretinoin out of the sphere, and is what makes Tretinoin Gel Microsphere a time-release product. It’s worth noting that the spheres are so small that you cannot see or feel them in the product. If you’re interested in learning more about Microsponge technology, there is a great article from the Journal of Advanced Pharmaceutical Technology & Research worth checking out: Microsponges: A novel strategy for drug delivery system. 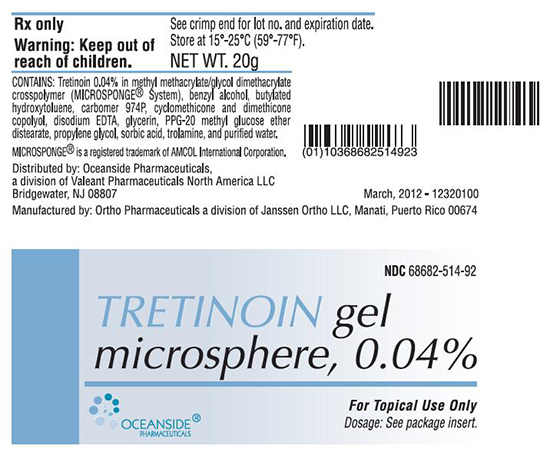 Tretinoin Gel Microsphere, 0.04% comes packaged in a basic metal tube. It’s nothing frilly, but it’s hygienic and gets the job done. There is no discernable smell to Tretinoin Gel Microsphere, 0.04%. I’ve actually tried really hard to smell it on a few occasions, but even the faintest scent of soap left behind on my hands is powerful enough to obscure whatever smell this product might actually have. I apply a pea sized amount to my entire face at night, per the pharmacy’s instructions. I’ve done a little bit of experimentation as to what point in my routine this should be applied. Initially, I tried applying it first thing after washing my face, before even applying a toner. After gently massaging in the Tretinoin Gel Microsphere, I waited 20 to 30 minutes to give the Tretinoin ample time to absorb, then applied the rest of my skincare products. Applying it first seemed to work fine, but my skin did feel a bit a dry by the time I was ready to perform the rest of my skincare routine. Of course, by the time I applied my moisturizer, I didn’t feel dry anymore, but I couldn’t help but think I was experiencing a little more water loss than I’d like to be by applying the products in this order. After the first month, I decided to try applying the Tretinoin Gel Microsphere in the middle of my skincare routine. For this, I applied my toner, my serum, then a little facial oil mixed with aloe propolis gel, and waited 30-60 minutes for everything to absorb completely. I then applied the Tretinoin and waited another 30 minutes before finally applying my moisturizer. My results with the Tretinoin appear to be the same as they were when I was applying it first, except with this method I’m not experiencing any periods of dryness (however brief they may be). This method of application seems to suit me better even though it’s slightly more work with the two waiting periods. I absolutely love the Tretinoin Gel Microsphere formula. It has been just as effective at keeping my acne at bay as my Tretinoin Cream was, but I find the Gel Microsphere to be far less irritating. There have been multiple instances when I’ve accidentally squeezed a bit too much out of the tube at once, and not wanting to waste any product, applied it all to my face. With the cream, this would have been a mistake I paid for with inflamed, red, flaky areas that lasted for at least a week. With the Tretinoin Gel Microsphere, all I experienced was a little extra redness the following day, and then everything was business as usual. I can’t really speak to how the initial adjustment period for Tretinoin Gel Microsphere for new Tretinoin users, since I’d already been using the Tretinoin cream for a year before switching to this formula. However, I can say that I had about 5 weeks before starting the Gel Microsphere when I wasn’t using any Tretinoin at all because my prescription had run out. I’d fully prepared myself for some sort of break-in/purging period when starting the Tretinoin Gel Microsphere, but it was smooth sailing from the start. I imagine this is largely due to the fact that I’d been using the Tretinoin Cream for so long before stopping, but I was surprised that I didn’t experience ill effects from stopping for so long in between. I’ll definitely be sticking with Tretinoin Gel Microsphere, 0.04% for the foreseeable future. I think it’s definitely worth asking about if you’ve used other Tretinoin products in the past and couldn’t tolerate the purging and the peeling – this formula seems to be much gentler without losing any efficacy. • you have eczema or other skin conditions. • you are allergic to any of the ingredients. • you are pregnant, planning to become pregnant, or may be pregnant. • you are using any other medicines to treat your acne. Do not use any other medicines unless they are recommended by your doctor. Other acne medicines used with Tretinoin may make your face more likely to be dry and red and cause it to peel. • you are taking medicines for other health conditions. Some medicines may make your skin more sensitive to sunlight. Tell your doctor about all medicines that you are taking. For a complete list of drug precautions, you can view the patient information here. • Your acne might be caused by an underlying issue that you need to know about, and could require a difference course of treatment altogether. Only your doctor will be able to make this determination. • If you have insurance, it may be significantly cheaper to get this through the pharmacy than it would through a questionable internet source. Additionally, Wal-mart, Target, Harris Teeter, and Rite-Aid all have $4 prescription drug plans for generic medications (which includes Tretinoin Gel Microsphere) in many US states. I live in NC, and pay $4 for this product every couple of months. Are you a Tretinoin user or have you tried it in the past? 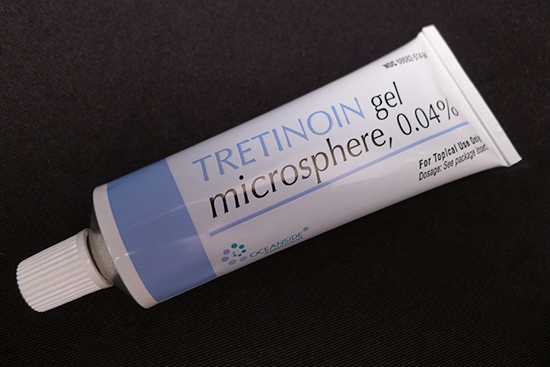 Have you tried the Tretinoin Gel Microsphere before? What kind of results did you get? Have been considering jumping onto the Tretinoin bandwagon for a long time. The sound of purging just scared the crap out of me. Kind of how I stopped using my Clarisonic after a good 2 weeks then my acne was all over the place. I know it’s part of the process to better skin but it just makes me so depressed when I look in the mirror. Have you heard of AllDayChemist? I read recommendations for their Tretinoin products. What’s your judgement on it. I’m afraid if I asked my doctor for some Tretinoin he’d refuse me since I really don’t have acne. Hey Anne! Yeah, the sound of purging scare me a bit before I actually went though it. The purging period really varies from person to person, and I felt like mine was manageable. I’d say it was only slightly worse than my regular breakouts. I actually thought the process of building up a tolerance to Tretinoin and waiting out the period of sensitivity was a much larger inconvenience! That experience also really varies by person. I personally had very sensitive skin for the first 9 months of using it – it was very easy for me to have a reaction to a product. Certain ingredients that didn’t irritate me before would cause problems after I started using Tretinoin, and it was very easy to accidentally compromise my moisture barrier. I’m not nearly as sensitive now as I was in those early months, but I am still more sensitive than I was before I started using it. I’ve heard of AllDayChemist but have never ordered anything from there. I’ve read some forum posts from people who say they bought their Tretinoin products there. I’ve also read that they’ve had some credit card issues in the past, so if you do wind up ordering something from them, maybe do it with a pre-paid card? Also, have you thought about trying a good over the counter retinoid instead? They have fewer side effects, lower risk of irritation and they’re easier to access. Makeup Artist’s Choice, FutureDerm, and Paula’s Choice all make great retinol products! The FutureDerm retinol in particular is a time release formula, and carries a very low risk of irritation in spite of the fact that it contains a high amount of retinol. If it wasn’t cheaper for me to use my prescription, I might even consider switching to the FutureDerm one myself! The options seem a tad expensive while adding on the international shipping. I swear we Australian live under a rock or something. I know that when you start, you should work from the lowest % then up. What’s the difference between say a 0.10 cream and a 0.10 gel? Does one get absorbed faster than the other? Also would it be silly to apply it to just one side of my face then work on the other side another time since I don’t want my whole face to be purging? Are there side effects once you stop using it? I know sometimes I can be very lazy with my skincare routine. Thanks so much for your reply Kerry! Oh yeah, I forgot about how crazy the shipping charges to Australia are! That would drive me crazy! The differences between the cream and the gel formulas are that the cream is less drying (but it’s still drying) than the gel, and the gel absorbs faster due to the alcohol content. I personally wouldn’t apply it to just one side of my face at a time since that would double the amount of time it would take to purge and adjust to the medication. Once you stop using Tretinoin, any issues you had prior to using it will generally reemerge. Because it works by signaling cell growth rather than just treating a topical symptom, consistency is important. If you’ve never used a retinoid before, start with the smallest % (usually 0.010%) and use it every two nights for the first couple of weeks, eventually increasing to every other night. Then if you want to, work your way up to nightly. I was a nightly user for a long time but have just recently (like in the past week) cut down to every other evening so I could use an AHA on alternate nights. All that said, I’m definitely no doctor – these tips are just are my regurgitated bits of information I’ve collected from my own experiences with my derm and my Tretinoin usage. I still think it would be far less risky if you could find an OTC retinoid you like. Are Neutrogena products readily available in Australia? They make a retinol serum called Ageless Intensives Deep Wrinkle Serum that I haven’t personally tried, but gets rave reviews! I was on retin-a for three months and had no improvement. I had a huge outbreak of cystic acne that never got better. Really was disappointing because everyone I’d talked to had such great results. That’s a bummer, Deborah! Cystic acne is the worst. Were you ever able to find something that worked for you? I’m curious to know which Tretinoin formula you tried. Do you remember if it was the cream, the gel, or the micro-gel? It was a major bummer. Still trying to find something to take out this acne. I used the lowest dose of the cream. This was interesting, thanks for writing it up. What do you think about OTC retinol creams and the like? I am actually really interested in trying Retin-A, but my crappy insurance makes going to a doctor to get the actual prescription really expensive, which is annoying because generics of the cream itself are so cheap, grr. I think there are some really excellent OTC retinoids out there! Makeup Artist’s Choice makes a really great one, as does FutureDerm. I’ve also heard good things about the Neutrogena Ageless Intensives Deep Wrinkle Serum, though I’d imagine that’s the weakest retinol concentration of the three. i want to try a retinol cream. I really want to try it, but haven’t yet. Are there any specific creams you’ve been thinking about? Hi, hoping you could help since you are so familiar with tretinoin. I recently got prescribed tretinoin (cream, not the microgel) after a particular nasty flare up and am wondering if I could use this in conjunction with a vitamin c serum. Since both are more suited to use at night, should I alternate them by day or can I use them together (do the usual skin care routine including the vit c serum, then the tret afterwards)? Hi Belinda! I would use the Vitamin C serum in the daytime and the Tretinoin at night. That’s what I do when I’m using a Vitamin C serum. Just be sure to be extra vigilant with sunscreen, as the serum will make your skin more photosensitive. If you really want to use both of them at night, you could, but I’d personally wait at least 45 minutes after applying the C serum before applying the Tretinoin. Also, using both in the same time of day raises your risk of irritation. I think I could probably pull it off now, only because my skin has become more tolerant of acids in general, but a year ago? There’s no way I could have used them at the same time of day. I hope that helps! I was on Tretinoin .025 gel for about 12 weeks. At first my skin got much worse (which I expected), but then it seemed to be getting better until about 2-3 two weeks ago, when I broke out horribly again. So now I’m on Tretinoin .04 microsphere gel. I had no idea that this new gel would be different from my old gel. It smells and looks different, like you noted above. Are there any other differences I should expect? Hi Renee! I haven’t tried the regular Tretinoin gel before, but I can tell you that I felt the Microsphere Gel was an improvement. My sensitivity decreased quite a bit, and any acne I did get felt less inflamed. I was impressed by this particularly because the amount of all-trans retinoic acid is actually greater in the Microsphere gel. If you have oily skin, I imagine the regular Tretinoin gel would do a better job controlling oil because of the alcohol content. I personally have dry skin, so I’m happy to have an alcohol-free formula. I’d be interested to know how you feel the two compare for you once you’ve had a chance to use the Microsphere gel for a while! I started the microsphere gel .1% in Jan this year, so I have been on it for about 9 weeks. I did not have terrible acne to begin with but always did have some pimples and had feeling more would always be showing up, and I do have oily skin. Since using it have felt my skin slowly get better with less inflamed pimples and pimples that go away much faster, hasn’t helped with the oily skin though. Still feel like my skin is irritated at times and complexion is not there yet. When did your skin really noticably adjust for you? And when you go out for the night with freinds to dinner and bars or activites, do you apply your retin a after showering before you go out, or do you wash up again once you get in for the night and then apply? Hey Adam! 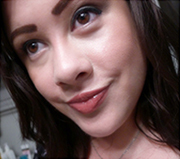 My skin noticeably improved at around the 8-10 week mark, if I recall correctly. It took a very long time for my skin to adjust though, in terms of sensitivity – but that was with the Tretinoin cream. With the microsphere, my sensitivity decreased quite a bit. In terms of application time, I do my skin care routine (without Tretinoin) in the morning, and again at night (with the Tretinoin) after I’ve come home from going out. – Use a 2% BHA that does not contain alcohol. I really like Paula’s Choice BHAs a lot. Since you have oily skin, I think you would probably most like the Clear Regular Strength Anti-Redness Exfoliating Solution with 2% Salicylic Acid (Salicylic Acid is a BHA). The texture of that one is water thin. You can apply it with a cotton pad just after washing your face. B. apply your Tretinoin, then wait 30 to 45 minutes and apply your moisturizer. You can use BHA in the morning as well if you need some extra oomph. Just keep an eye out for irritation. If you do decide to try the BHA, I’d love to know how it works out for you! I definitely want to try the Micro gel although I don’t have any real issues with the regular one. Didn’t even get any purging when I started… The only real problem is the massive peeling during winter which I assumed was normal because the air was colder/dryer. Have you noticed any difference in using the Microgel vs. the normal gel during winter? I used different strengths of tretinoin and tazarotene for a couple of years, and they did lessen my acne, but gave me red skin instead, no matter how little I used. It wasn’t that noticeable while I was using them, I only saw the difference when I ran out of tretinoin. I had no way of getting them again, and panicked a bit about how I was going to keep my acne at bay, but then I bit the bullet and ordered some Korean BB cream samples to experiment a bit. I actually just started using the same generic tretinoin micro .04% for my moderate/severe acne, and I haven’t really experienced too many adverse effects. I’m at the end of my second week, and I’m pretty hopeful and looking forward to what my skin will look like in a couple of months. I started off applying it every 3rd night, and now I’m starting to apply it every other night. I did notice that I had to switch my cleanser to a more hydrating one (I went out and bought CeraVe Foaming cleanser, but that was actually too drying, so I exchanged it for the Hydrating version), which has helped, but now I’m afraid that it might be leading to some more clogged pores, so I’m wondering if I should go back to the CeraVe Foaming now that my skin seems to be more normalized. I had to be incredibly gentle with my combination, sensitive, very acne-prone skin during the first week and half on tretinoin micro .04%. I use a balm cleanser and a washcloth to take it off, but I realized that my skin actually started to sting as I used CeraVe Hydrating as my second cleanser, and I attributed to the increased sensitivity to Retin-A. However, I am noticing improvements in skin tone and what I assume to be the start of fading of some PIH, which is a really big problem I have. Basically anything that pops up on my face will scar, regardless if I “pick’ at it or not. The one issue I have with tretinoin micro .04% is the cost, which is pretty prohibitive. I ended up paying around $90 for the generic at my local pharmacy, and I don’t think Target pharmacy in NY covers the generic tretinoin. I know the risks, but the option of buying some generic tretinoin online is pretty appealing right now. She said that sometimes the composition of the two are different. I guess the exact way they blend the two gels are a bit different. She didn’t say if they work differently on the skin. I think she just overall prefers the brand name over the generic for all medications herself. I have heard that the generic is just fine. That is the one that my sister uses with great results. I am wondering if the pharmacist would even give me the generic if she wrote the brand name on the RX. I have been on Ziana (0.025& tretinoin + clindamycin), but even with insurance, the co-pay is much more expensive than $4 generic prescriptions so that’s why you’ve convinced me to try the micro out. My question is that I can’t find it listed on any $4 prescription drug list from Walgreens/Walmart/Target/Rite Aid/etc. Which store do you specifically get it from? Or are these lists just not updated? Has the micro been taken off the list? You mention getting it for $4 but those places don’t seem to offer this price. could you be more specific about where you are getting it? Thanks. After just finding out about this fantastic blog, I hope you are still able to answer a question I have! I’m already using BHA/AHA and vitamin C product. The Vit C in the morning and BHA/AHA in the evening and would like to add a Retinoid to my routine. After doing some background work on different products containin Tretinoin, I’ve kinda narrowed it down to Gel Microsphere and Renova. Just wondering which type you would suggest for a 20 year old with quite mild acne interested in anti-aging and even skin tone! I have been using Retin A mocrosphere .1% for years. One year I used generic (now that there is a generic) and then went back to brand – and now I just picked up generic again because I didn’t feel like fighting my insurance and I didn’t notice a difference anyway. I tried using the tretinoin gel generic (not micro) once and it smelt like pure rubbing alcohol and burnt my face off. I have no idea how anyone uses that stuff or how it is even prescribed – it was awful. The cream just plain didn’t work. In my 20s I started breaking out everywhere literally overnight. I thought I had broken out in a rash but it never went away. Acne on my neck, arms, chest, back, and face. Was awful. I suffered for three years. I wouldnt wear short sleeves or show any skin. Tried an antibiotic and it didn’t help much. I wanted accutane but the derm wouldn’t give it to me because of my depression. Told me I should seek counseling because I said it was really affecting my self esteem. Switched docs. New doc put me on 100 of spirolactone, .1 tretinoin microsphere to put on in the morning – i also will do it at night but once in a while give my skin a break, and doxicycline 100 twice a day. All my acne went away. The spironolactone (aldactone is the brand name I take generic) blocks testosterone. I had hormonal acne. If you are a female in your 20s and start breaking out all over it’s probably hormonal. I have been on this regimin for about 6 years I think. I am almost 35. I still need it all:-( I hate that I need it but I do. I recently was switched to one pill a day of the spiro – instead of 2 50 tab pills. I am experiencing breakthrough acne. Going to ask to go back to the two pills and switch manufacturers. I LOVE the micro though! Good stuff! I have been using tretinoin cream 0.025% for about 1 month now. I only use it every other day, because I find that this really cuts down on the peeling. I wait at least an hour after cleansing and moisturizing. I keep the tretinoin in my bedside table so that I don’t forget. It makes my skin incredibly soft and smooth. After reading a ton of tretinoin reviews online, I was worried that I’d experience a purging period where I started to break out a ton. I didn’t notice a ton of new breakouts. I had a couple breakouts below my nose, but that could be attributed to a new lip product. I can’t be sure. Otherwise, I really love tretinoin so far. I hope that I will see a reduction in fine lines as I continue to use it consistently.